Corbett, who coauthored the paper with Brunel researcher Jaap Munneke, says the problem lies with the human visual system, which is only capable of processing a few objects in detail at any given moment. The brain averages out redundant and specific information, filling in the spaces based on prior knowledge. As a result, infrequent objects – those that the observers aren’t expecting to see – are often missed. “We found that when we pair the estimates of two people who don’t know they’re working together – they have no interaction whatsoever – there is a huge improvement in detection, just by capitalizing on the diversity of people’s judgments,” said Corbett. 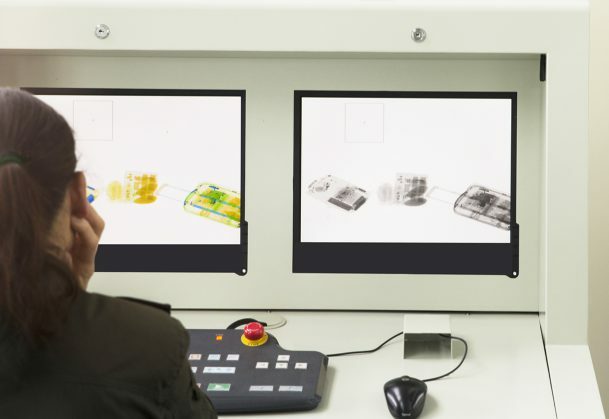 In the airport screening experiment, 16 participants, who had no experience with security screening, saw an image containing nine objects for half a second. They then indicated whether they’d like to call the image back, based on whether they detected a target object.